Bubbling mud, mysterious forests, colourful lakes, hot pools… it’s all here within reach of Rotorua! Let’s say it: Rotorua rocks! The place is a buzzing epicentre for backpackers. 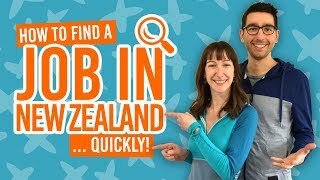 Whether you’re a flashpacker looking to spend some cash on the popular activities, or someone looking for a great place to work and experience the true Kiwi lifestyle, you’ll need some free stuff to do at some point. In fact, some of Rotorua‘s best experiences are for free thanks to the kindness of nature. 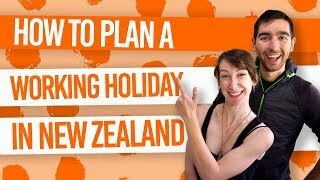 After checking out our 5 Free Natural Hot Pools in Rotorua and our 10 Free or Cheap Things To Do in Rotorua, you might want to check out some free outdoor experiences in Rotorua in the list below! Maunga Kakaramea, also known as “mountain of coloured earth” or Rainbow Mountain, is easily accessed by a 3km walk. It passes in front of many typical Rotorua features such as steam rising from the ground and crater lakes. The view from the summit is a perfect picture opportunity too, if you take the 1-hour oneway track. Location: 26km southeast of Rotorua, along State Highway 5 (between Rotorua and Taupo). The forest is a gigantic network of mountain biking and walking tracks. Known as Whakarewarewa Forest by the locals, it is mainly constituted by Californian Coast Redwood, hence its nickname “Redwood Forest”. Get a bike from your hostel or hire one in town and head to this mountain biker paradise! Location: 5km southeast of Rotorua city centre along Long Mile Road. When leaving Rotorua heading to Taupo, stop by the toastiest creek in the region. The hot stream creates multiple small natural pools lodged between the rocks where locals and knowledgeable tourists come to sooth their soar hiker’s feet. It’s one of the 5 Free Natural Hot Pools in Rotorua. Location: About 30km south of Rotorua, off State Highway 5 (between Rotorua and Taupo), on Old Waiotapu Road. Kerosene Creek is 2.2km down the gravel road. Okere Falls is the highest commercially rafted waterfall in the world. Even by itself it is a stunning fall of pristine natural beauty. If you are lucky, you might see some raft-flipping going on and tourists swimming to get back on board. Location: 21km from Rotorua on Trout Pool Road off State Highway 33 (the Rotorua to Tauranga road). Which one of Lake Tikitapu and Lake Rotokakahi is the green one? Take a hike and go decide for yourself. The hike to view both lakes starts near Redwood Forest (see above). At the hike’s highest point, you will be able to see both lakes and witness their clear difference in shade. Location: 9km southeast of Rotorua, along Te Ngae Road then along Tarawera Road at the roundabout. Located almost in Rotorua town centre, Kuirau Park features living proof of the geothermal activity happening under our feet. Expect shallow hot pools, bubbling mud, and lots of steam! Blue, green, turquoise: the waters of the Hamurana Springs look like the something from a fairy tale. The deepest fresh water spring of the North Island is, in fact, a tranquil stream that begs to be photographed! Swimmers beware: the water is fresh… Very fresh! [Update: This attraction is no longer free. 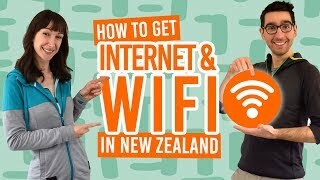 The fee is under NZ$20]. Location: Hamurana Springs is located about 15km northeast of Rotorua, along Hamurana Road. The short track along the “Wai-O-Tapu Thermal Wonderland” and near Rainbow Mountain is the ideal short stop between Rotorua and Taupo. In hides a pool of bubbling mud and, yet again, even more steam! The platform elevates above the mud pool to offer another perspective. Location: 27km south of Rotorua off State Highway 5, turn left on Loop Road until you reach Waiotapu Track. Sitting in front of the Rotorua Museum, the Government Gardens are the pride of the Rotorua community. It is both a historical place telling tales of yore and the perfect place to just simply chill out. Incidentally, the Rotorua Museum is one of our favourite things to do on a rainy day in Rotorua. Not to be confused with the famous Hot Water Beach in the Coromandel, Te Rata Bay features a small hot stream falling into Lake Tarawera. It is accessible by water taxi and is also part of the 15km Tarawera Trail. Location: Water Taxi from Tarawera Road, Lake Tarawera. Alternatively, access the Tarawera Trail from Te Waiora car park on Tarawera Road.